industry can collaborate to help grow the UK space market. 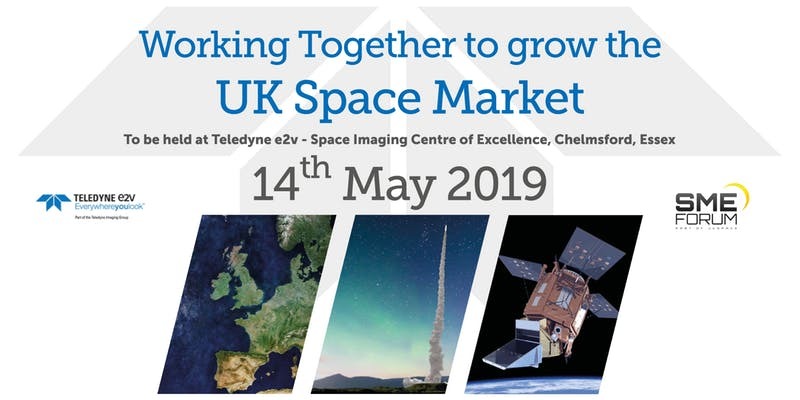 To be held at Teledyne e2v – Space Imaging Centre of Excellence, Chelmsford, Essex. The UK Space sector is worth £14.8Bn, expected to rise to £40Bn by 2030, creating 30K skilled jobs*. With such a positive outlook the opportunities for SMEs look set to rise. booking system can be accommodated at the event. Please note: Terms conditions apply. Participation only by advance registration and invitation. All details subject to change. Please visit www.teledyne-e2v.com/news/ukspace-sme for more information.